“Bring them in” is the cry echoing around the central London campus of University College London this year after the UNISON branch launched a campaign for members providing security, catering and cleaning to be brought in-house and directly employed by the university. 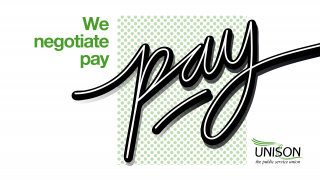 The work is currently outsourced to private companies Sodexo and Axis. This means more than 800 staff working on the contracts have worse terms and conditions that colleagues employed by UCL itself, including less annual leave, less maternity and paternity leave, far worse pensions and little or no occupational sick pay. 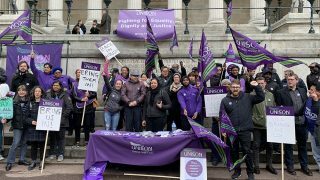 “Our members deserve equality in terms and conditions with their directly employed colleagues and we are committed to bringing outsourced workers back in-house,” says the UNISON UCL branch. The union submitted a claim to the university management just before Christmas, asking for the staff to be brought in-house. The campaign has already been attracting support on campus and on social media, with the students’ Labour Society already showing its support, helping collecting signatures yesterday to the union’s campaign petition. 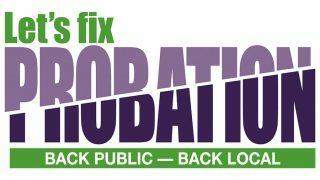 UNISON branches at other London universities have already chalked up success in bringing service and members back in-house recently. Services at SOAS University of London were brought back in-house in 2018 and King’s College London has pledged to bring services back in-house this year.